When Amazon acquired Whole Foods earlier this year, it showed just how determined the e-commerce giant is to change the way we buy and consume food. But the company's ambitions don't start and end with supermarkets. Yesterday, it announced plans to expand its Amazon Restaurants operation in a scheme that could potentially see meals from several restaurants -- including Chipotle and Shake Shake -- delivered straight to customers' doors. For anyone with an internet connection and a credit card, this is game changing news. Amazon is partnering with the New York-based company Olo, which supplies digital ordering and payment software to over 200 restaurants. Its clients include Wing Stop, Chipotle, Cold Stone, Five Guys and Shake Shack, among many other established chains. Under the partnership, deliveries will be carried out by Amazon Restaurants, after Olo processes the orders. It's a premise similar to order and delivery services like Seamless, Grubhub and UberEats, but ostensibly carried out across Olo's 40,000 client locations nationwide. “We are excited to leverage Olo’s digital ordering technology and continue rapidly growing our network of restaurants to give Amazon Prime members more options for fast delivery from their favorite brands,” Gus Lopez, general manager of Amazon Restaurants said in a statement. The partnership, which will only be available to Prime members, will expand Amazon's pretty nascent Amazon Restaurants operation, which has so far lagged behind many of its competitors since launching in 2014. At this point, only the Italian restaurant chain Buca di Beppo has signed on as a partner. 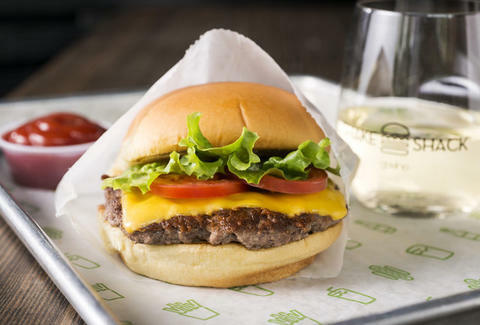 But if getting exclusive access to Shake Shack burger deliveries is foretelling of future success, Amazon will likely find itself standing out in a very crowded field.